Is everyone ready? Okay, cue the music. Lights. Camera. Aaand action! Good morning ladies and gentlemen, and welcome to the second installment of the Husbands That Cook Summer Cocktail series starring your hosts, Adam and Ryan. 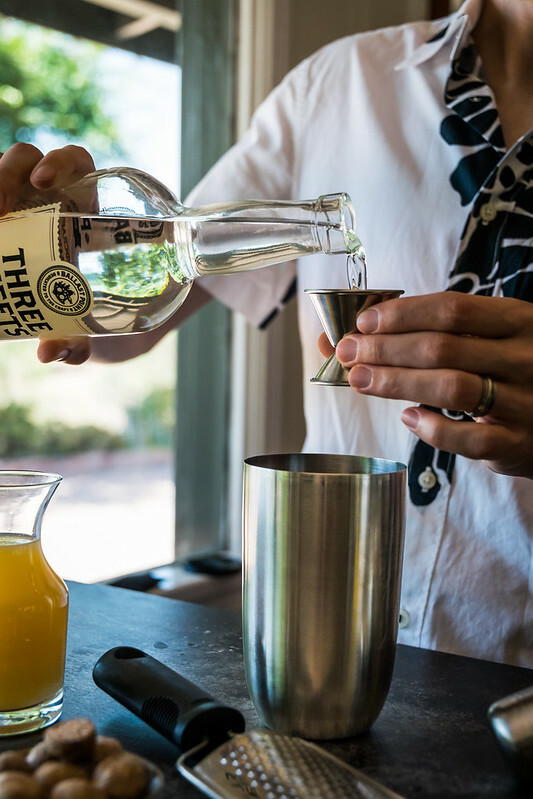 Every Friday at 10am PST for the next few weeks, we will be taking over the feedfeed’s snapchat and showing you how to make some of our favorite summer drinks. On last week’s exciting episode we traveled to tropical paradise and made these refreshing blackberry vanilla tequila mojitos filled with fresh blackberries, cool mint leaves and smooth tequila. 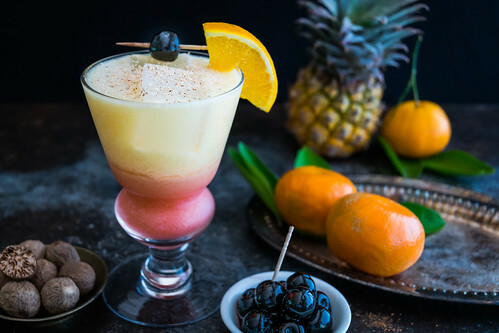 For today’s show, we have something very special planned: the Island Sunrise, a riff on a classic Caribbean cocktail called a Painkiller. So let’s pack our bags, bring some light clothing, and set a course for the islands, where abundant sunshine and palm trees await us. 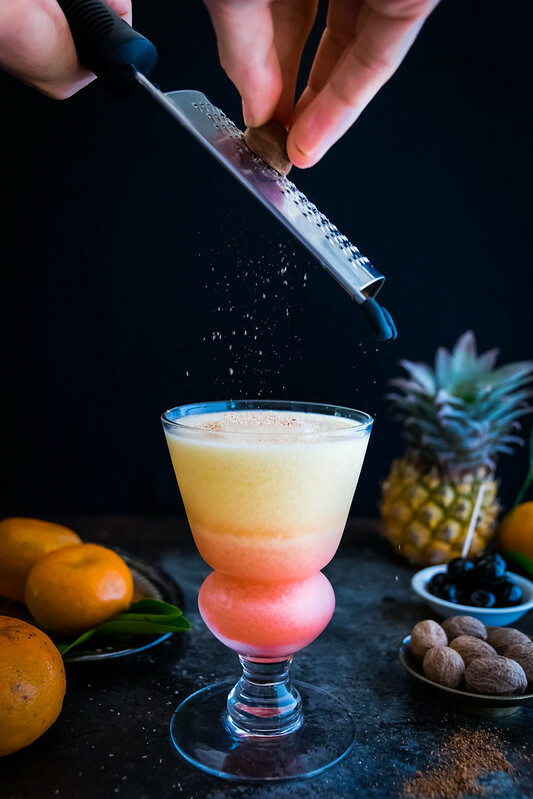 This delicious summer cocktail is a romantic vacation for your tastebuds. 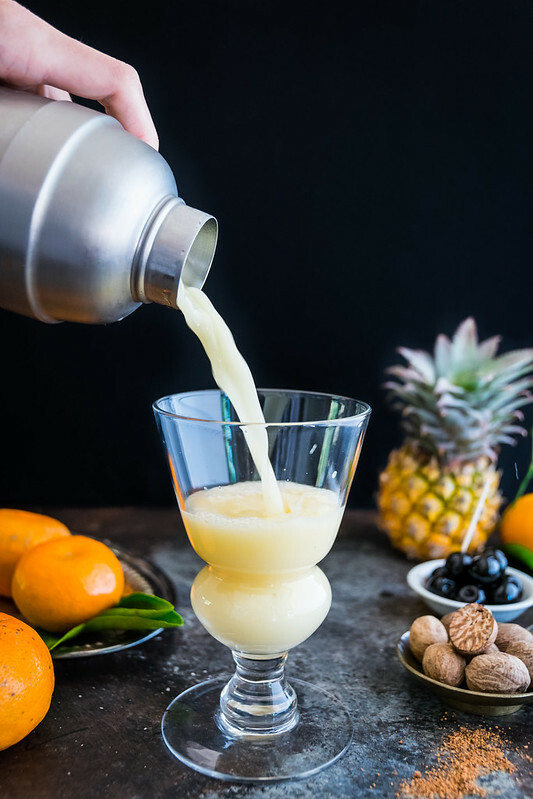 Two ounces of white rum is mixed with pineapple juice, freshly squeezed orange juice, and cream of coconut, giving this tropical treat a silky smooth texture and a rich coconut flavor. 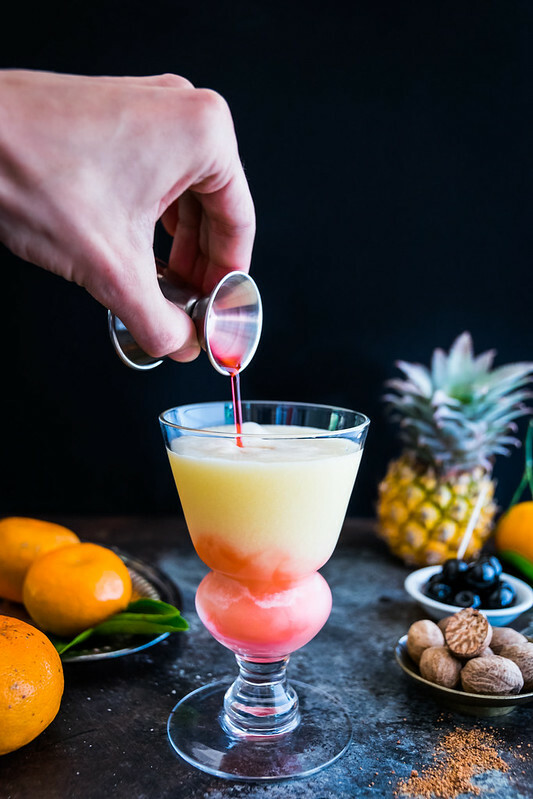 Shaken vigorously and poured into a tall glass, this creamy and refreshing beverage is then topped with a splash of grenadine for a stunning red ombré color, a few clinking ice cubes, and freshly grated nutmeg. In seconds, what emerges before your eyes looks like a majestic rising sun, hence its fitting name. You might even need sunglasses. 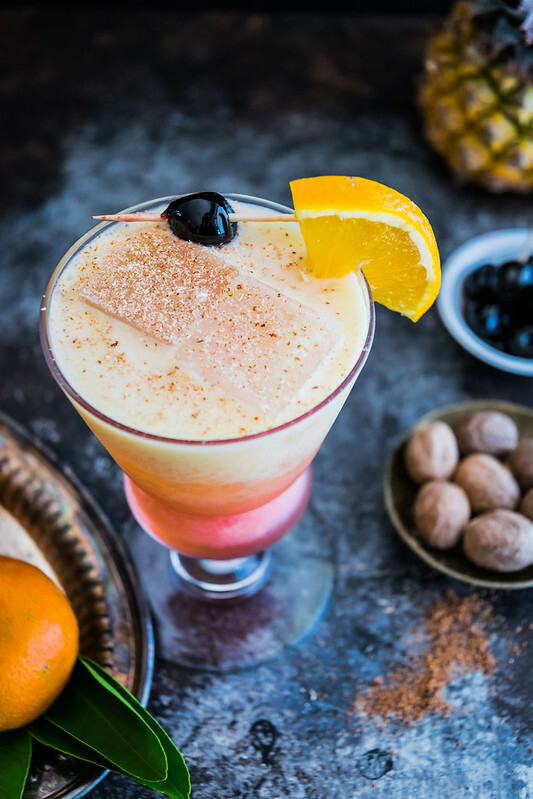 This tropical dream couldn’t be easier to make. 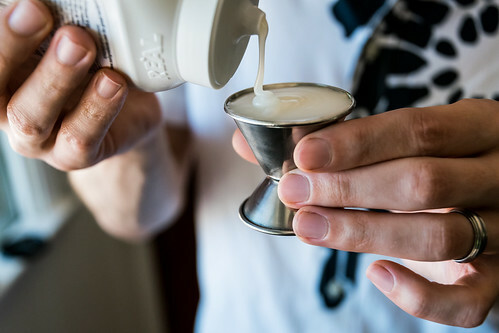 You simply combine everything in a cocktail shaker with ice, give it a good shake, and strain into a glass. If you can find whole nutmeg seeds, grate it right over the drink for the most aromatic spice flavor, but if you only have ground nutmeg, that works too. 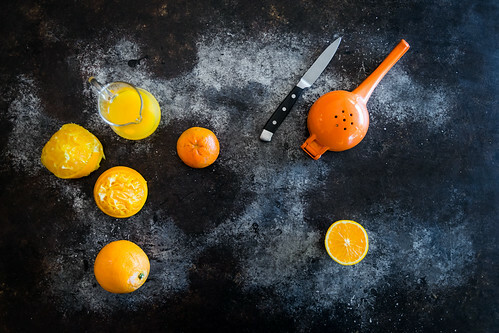 Garnished with an orange slice and a genuine maraschino cherry—no neon-red artificial fruit here—this smooth cocktail is easy to prepare, refreshing to drink, and beautiful to look at. Cheers, and may your next sunrise be on a tropical island! 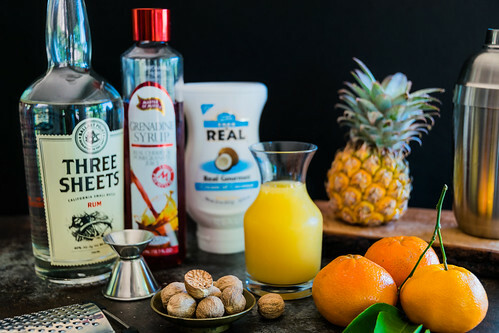 In a cocktail shaker, combine the rum, pineapple juice, orange juice, and cream of coconut. Fill shaker with ice and shake vigorously for 15 seconds. Strain and pour into a tall glass. Pour in the grenadine, which will sink and color the bottom of the drink red. Add a few ice cubes, then grate fresh nutmeg over the top of the cocktail. 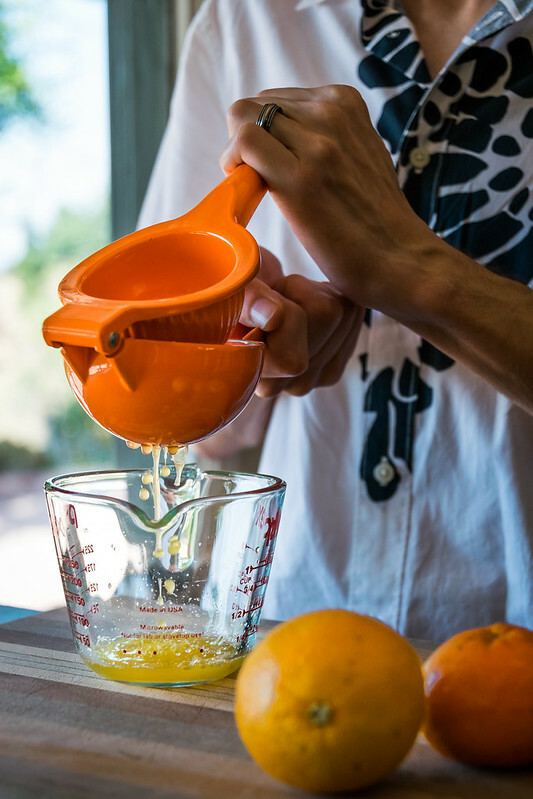 Garnish with an orange slice and a maraschino cherry, serve, and enjoy! — Cream of coconut is a sweetened product used for cocktails like piña coladas (and to make cakes), and is different from coconut cream, which is unsweetened and used for cooking. Cream of coconut is available online and in the drink section of your local market. — You’ll notice that the maraschino cherries we use are not bright red. The common type found in the States is artificially flavored and colored, and bears almost no resemblance to authentic maraschino cherries, which are tangy, sweet, full of true cherry flavor, and are a deep purple from the real marasca cherry juice. The difference in flavor is astounding, and they will elevate all your cocktails. They are available online, and in the liquor section of many markets. Thank you so much Stephanie! The fresh nutmeg really adds a lot of flavor and aroma! So much more than just a garnish!